After brief hiatus for some minor corrections, the Prelude softcover version is back up and available for sale on the Amazon site. A Kindle version of Prelude is also available. The softcover version of Prelude is undergoing some minor corrections and will be available again within a few days. The Kindle version remains available for purchase. Prelude now available on Kindle in U.S. and U.K.
Prelude is now available on Kindle. To download from the U. S. Amazon site, click here . To download from the U. K. Amazon site, click here. If you’d like the softcover version, you may order it by clicking here. In many ways that’s where we are in the peak oil story. As concern about peak oil spreads through more and more communities and to the highest circles in industry and government, we are approaching a critical threshold. But will we as a global society choose to pass through it? Naturally, I will be gratified if this book finds broad acceptance among those in the peak oil community. Even if it does, it will fall far short of my goal. That’s why I’m hoping that those who read it and like it will recommend it especially to those who previously have had little association with peak oil or sustainability. The book was written with such people in mind. 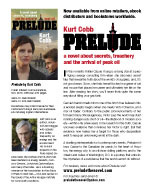 Tom Whipple, editor of the Peak Oil Review and a former CIA analyst, has provided an endorsement for Prelude. 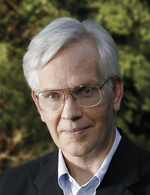 Tom has been a longtime fixture in the peak oil community and has been a valuable source of information for those interested in peak oil and related issues. To read his endorsement click here or on the “Praise & Reviews” tab. I’ll be attending the annual conference of the Association for the Study of Peak Oil & Gas-USA in Washington, D.C. this week. If you are coming, I hope you’ll approach me and introduce yourself. If you want to come to the conference, it is still possible to register either online or at the door. The conference not only has superb presentations by top experts and activists, but it’s also a great place to network with people in the peak oil and sustainability communities.